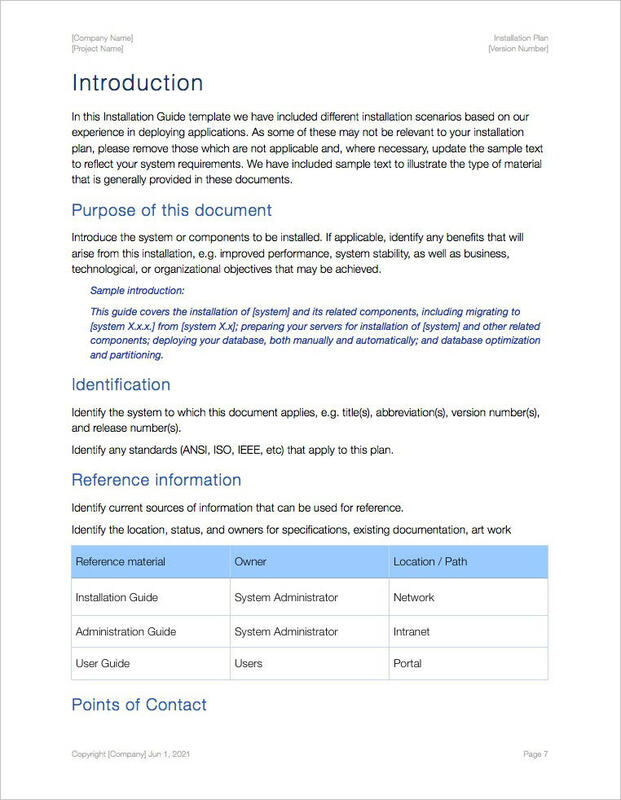 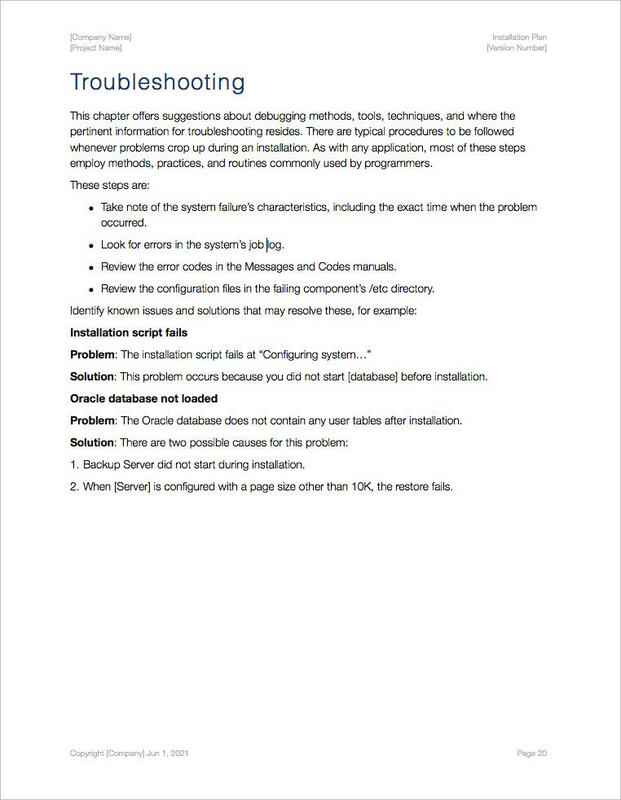 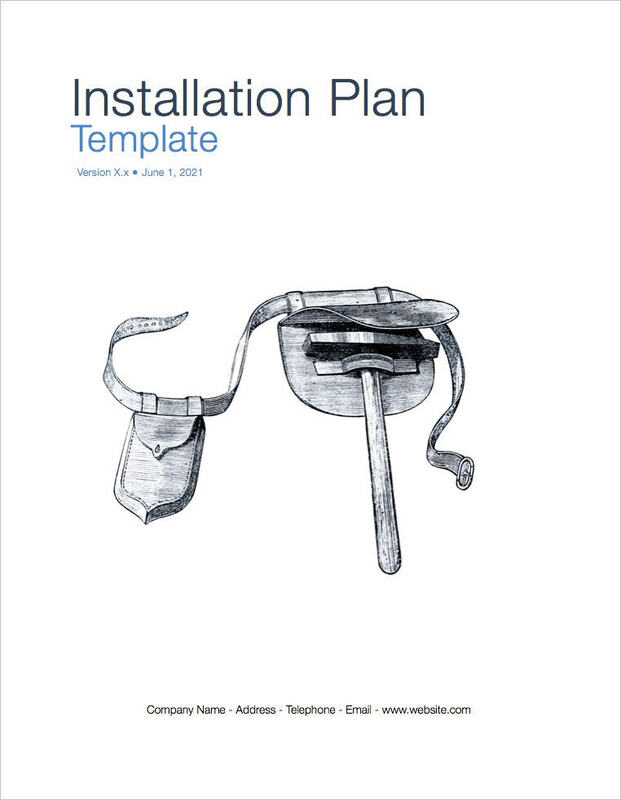 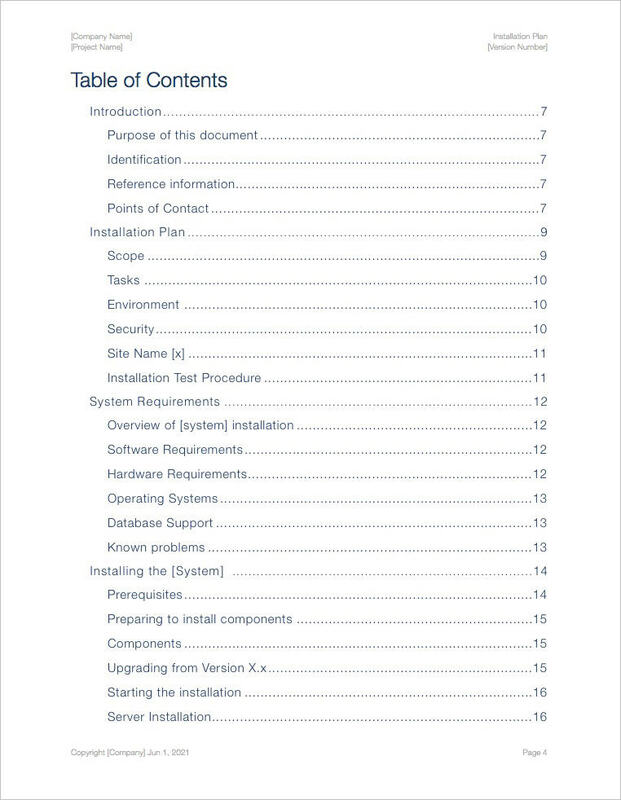 You can use this Installation Guide template – iWork Pages 21 pgs – when installing software and for the preparation, training, and conversion from existing systems. 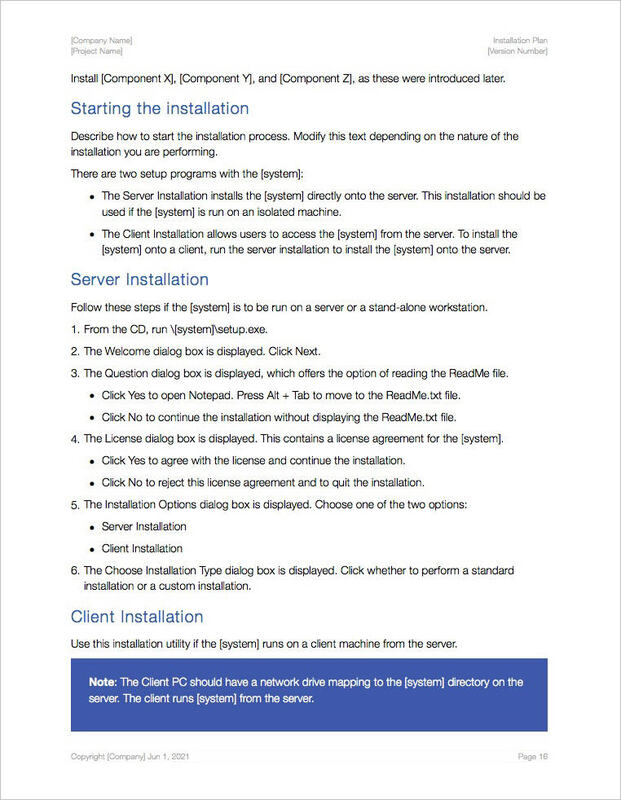 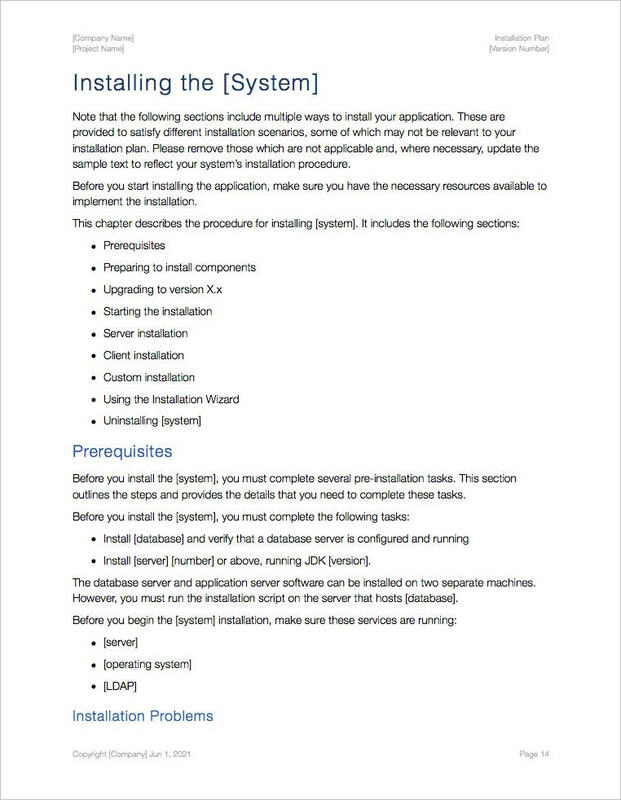 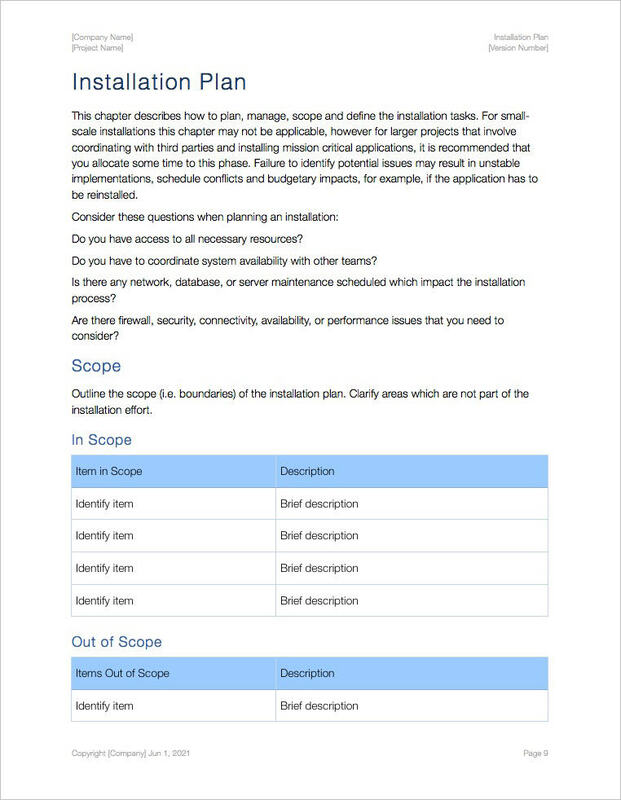 Develop an installation plan that uses the appropriate installer and considers the component requirements during deployment. 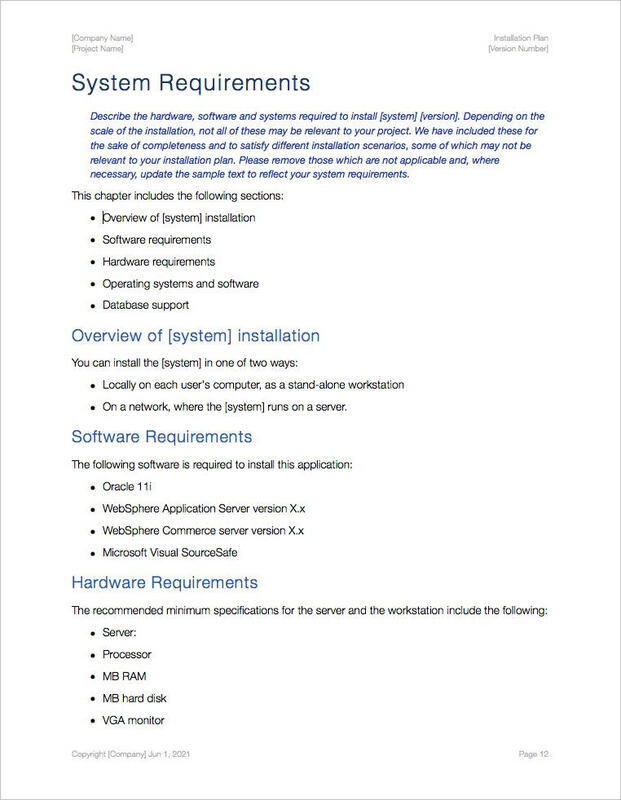 Specify the configuration values that configure the components to interoperate.What’s included in the template pack?